.........and by STEAM we mean Science, Technology, Engineering, Art and Math . According to the US Department of Labor, 65% of today’s students will have careers that don’t exist yet. Coding and technology are skills of the future. Our mission has always been to support our community and build a better tomorrow for our children. We are now able to do this by bringing electronics, coding and STEAM to children in the Lehigh Valley. We give children a chance to create in a failure-free zone. We foster 21st-century skills building something meaningful while inspiring their creative confidence. For your preschooler, we have Storybook STEAM, a collection of S.T.E.A.M. activities inspired by your favorite picture books like Rosie Revere and Iggy Peck Architect. The final product of the activity is not as important as the process. Join us each week for 45 minutes as we read aloud one book and then create fun and hands-on ways to challenge children’s thinking and problem-solving skills. This class will begin January 2018 on Tuesdays at 2:00 pm and is geared towards tinkering tots Ages 3-7. Older siblings welcome. If your preschooler is looking for more art and music, check out Draw Me a Song on Fridays at 10:00am. This 45 minute class is the complete sensory experience for budding artists! Children and their caretakers will be gently encouraged to explore the power of creation in both musical and sensory-art experiences. Independence, self-expression, and creativity will grow each week as you guide your child to discover their own abilities to play instruments, and make marks on the page! 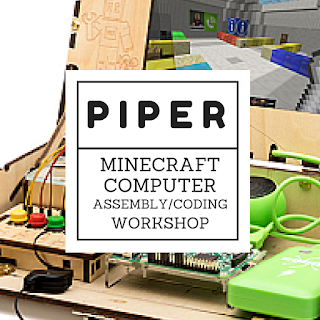 New this Winter will be our Raspberry Pi Computer Assembly & Coding Class that incorporates programming Minecraft. Perfect for children ages 8+ who want to discover technology by tinkering with hardware and fiddling with software. There is no better way for students to discover technology then by building it. We will build a computer from scratch and then learn to build and program electronics with the Raspberry Pi Edition of Minecraft. The final day of class we will disassemble the components in preparation for the next session. We will meet for 2 hours every Sunday for four weeks from 4:00-6:00pm. Know a preschool or elementary school interested in after school programs related to engineering, inventing and making, please reach out to us. 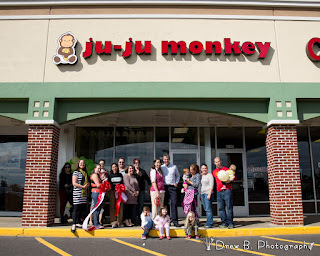 We can also help with special events and birthday parties too!